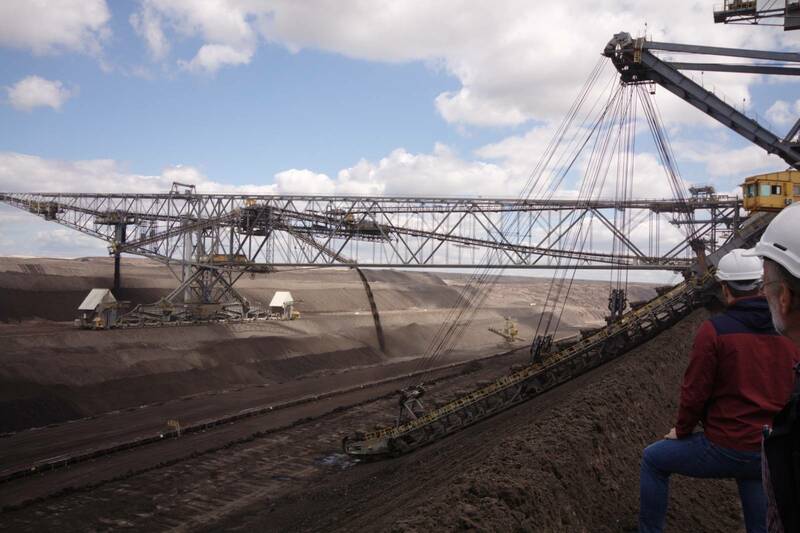 One significant task in mining engineering is mine ventilation in order to provide fresh air supply underground. Within their studies, future mineral resources engineers are trained in this field at the MRE’s ventilation laboratory. In the course of the M.Sc. class “Surface Mine Design”, we visited the open-pit mines “Welzow-Süd” of Vattenfall and “Profen” of MIBRAG with an international group of students. The MRE is host of the European Mining Course (EMC), a transnational master degree program of three leading technical universities in Europe: RWTH Aachen University (Germany), Aalto University (Finland), and Delft University of Technology (Netherlands). The MRE’s library provides a broad variety of scientific literature, suitable for the preparation of exams or the research within your final thesis. Our curriculum is thematically focused on underground and surface mining and the sustainable development in the field of minerals and raw materials. Our lectures include the topics of mining method selection and mine planning, blasting, shaft sinking, mine ventilation, deep drilling technology, reserve modelling, as well as rock and soil mechanics. In addition to these clearly technical courses, more economics orientated courses such as mineral economics and courses dealing with the environmental and social aspects of resource extraction, such as underground disposal of waste and sustainability in the extractive industries are held. Other courses offered by the staff of the MRE and by external partners of the minerals industry are on risk and technology management, soft skills and occupational health and safety. 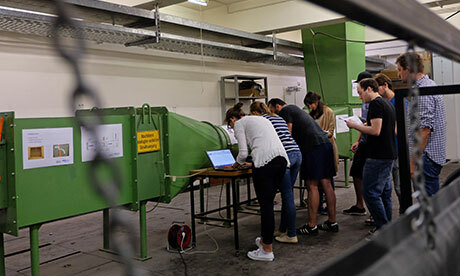 The MRE offers a broad variety of courses for Mineral Resources Engineering and other degree programs of RWTH Aachen University. 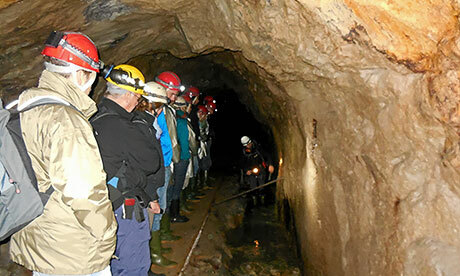 The MRE offers excursions on a regular basis. Destinations in the last years were, among others, Canada, Poland, Sweden, England or Turkey. You want to go abroad? You come from abroad? Mineral resources engineering is an international field and offers diversified possibilities to gather intercultural experience. A large part of the participants comes from the geo-scientific and natural resources programs of the Faculty of Geo Resources and Materials Science. For these students courses are offered in the above mentioned areas as introductory and advanced courses. A wider spectrum of listeners follows the interdisciplinary classes for personal development, e.g. as non-technical elective courses in other engineering programs of the RWTH Aachen University.